Father Nicholas Mihaly was ordained to the Holy Priesthood on January 10, 2016. 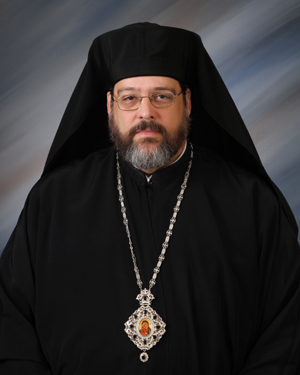 He previously served as Parish Priest and Administrator at Christ the Saviour Orthodox Church in North Royalton, Ohio. Father Nick has a Bachelor's Degree in Music Education from Western Connecticut State University; and, he achieved his Bachelor of Thelogy Degree from Christ the Saviour Seminary in Johnstown, PA. He demonstrates enthusiasm and dedication to his Priestly duties, the Orthodox faith, and a love for music with special emphasis on plain chant and teaching others. Our Parish welcomes Father Nick, his wife, Pani Stacey and their sons, Cyril and Nectarios. Reader David is a life-long member of St. Nicholas Church. He has honorably served his beloved parish from a young age as an Altar Server. For several decades, he has provided direction and mentoring to parish altar servers. In 2001, David was tonsured a Reader. Reader David is known and respected for his friendly disposition, attention to detail and full support of Liturgical Priest Celebrants and his Church. Reader David married his wife, Debi in a ceremony at Sts. Cyril & Methodios Church at Camp Nazareth in 2007. He and Debi are active in animal rescue; and David enjoys following his favorite sports teams.